Although I love the sunshine and the warmth of summer, I think that there is a part of me that secretly loves the darker nights, and the colder weather. Pretty dresses, and florals definitely have a place in my wardrobe but whether it's down to a lack of body confidence or just my personal taste, I just can't wait to start piling on the layers and dressing for the autumn and winter months. 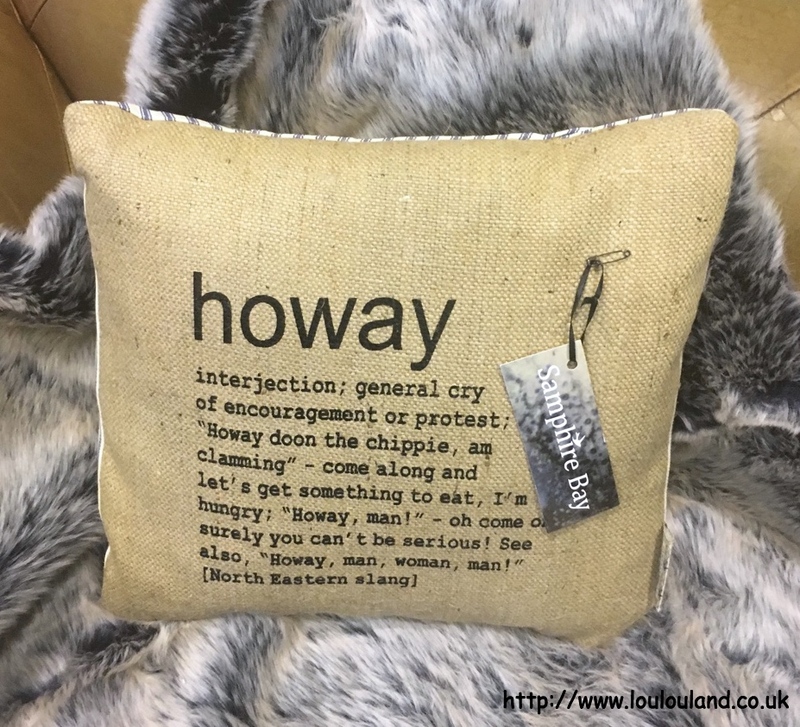 Just because you're dressing for warmth and comfort though, it doesn't mean that you have to be boring, integrate a few on trend pieces into your wardrobe, and you can bring even your oldest jeans up to date in an instant, and face the autumn and winter with a bit more style in your step. Fashion can be a minefield though, there are so many new trends and items out there that it is difficult to know where to start. This week though I got a bit of a helping hand and some pointers on what fashion and accessory will work for me and you, this autumn and winter season. On Monday night I headed to one of my favourite place in the world (sad I know!) 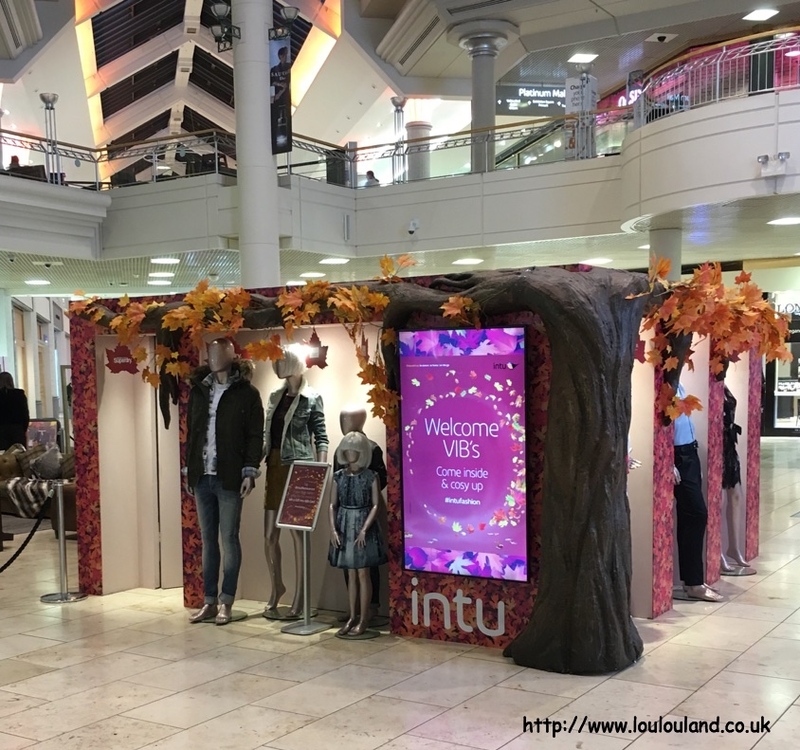 the Intu Metrocentre, to attend their Autumn / Winter Style Garden Blogger Event. I've attended a few of these events now and I've always enjoyed them and found them really informative, and this event was no different. 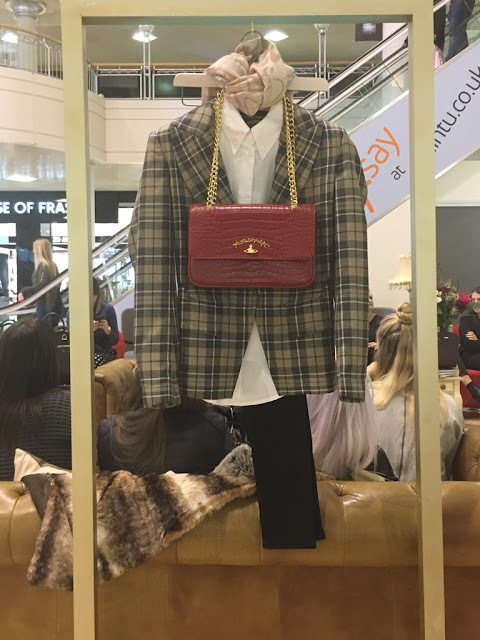 Situated in the main town square, outside of House Of Fraser, we were greeted with the same cube, that made it's debut way back in April. 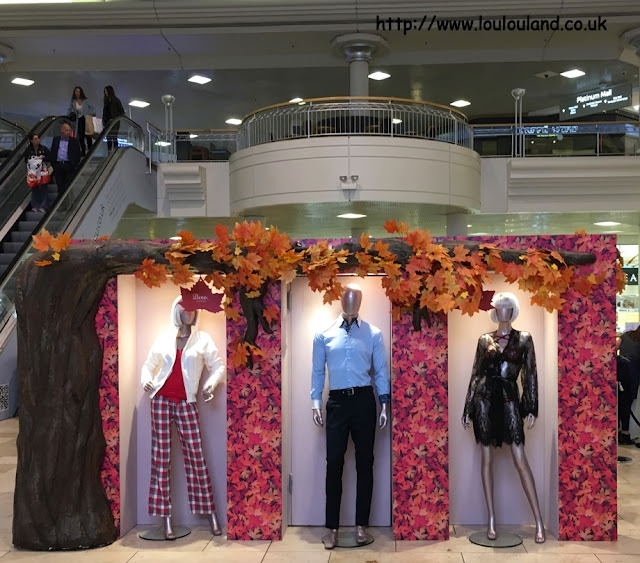 This time festooned in autumn leaves, the art installation like cube showcased a series of outfits, from some of the centre's major retailers. As gorgeous as the home wear and the interiors pieces were though, this was a fashion event, and this beautiful scene was scatters with lots of beautiful fashion and accessory pieces, including these boots from Ecco. 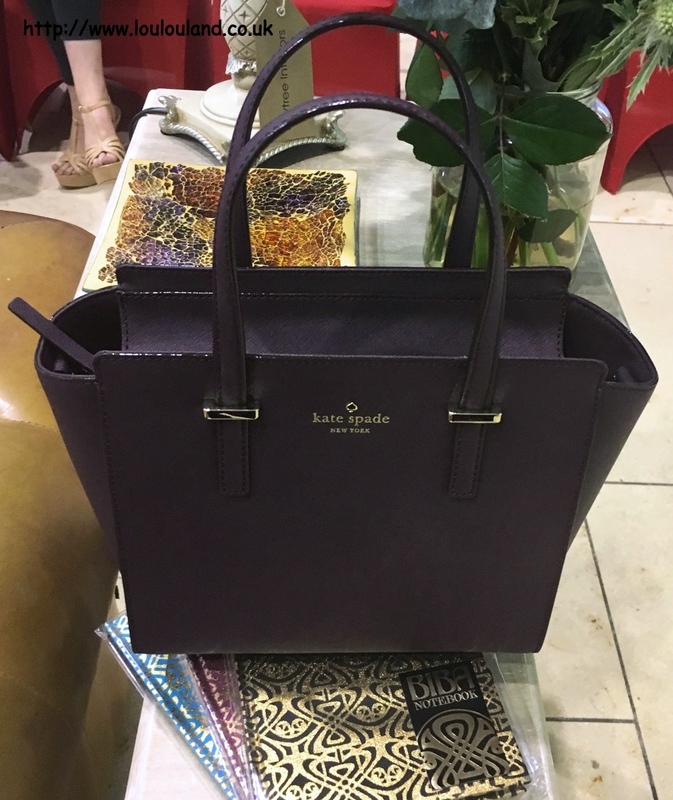 There were also bags and accessories from Dorothy Perkins, Cath Kidston, Biba, and this gorgeous bag from Kate Spade. and this full outfit from the iconic and fabulous Vivienne Wetstwood. 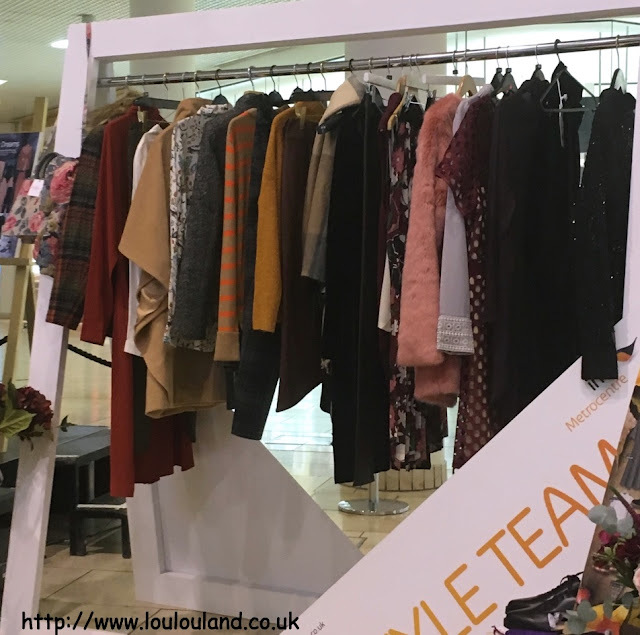 Once we'd had a little look round, and made ourselves comfortable it was time for the one of the highlights of the evening, as Intu Metrocentre's Style Adviser Michaela Dale, took to the stage. 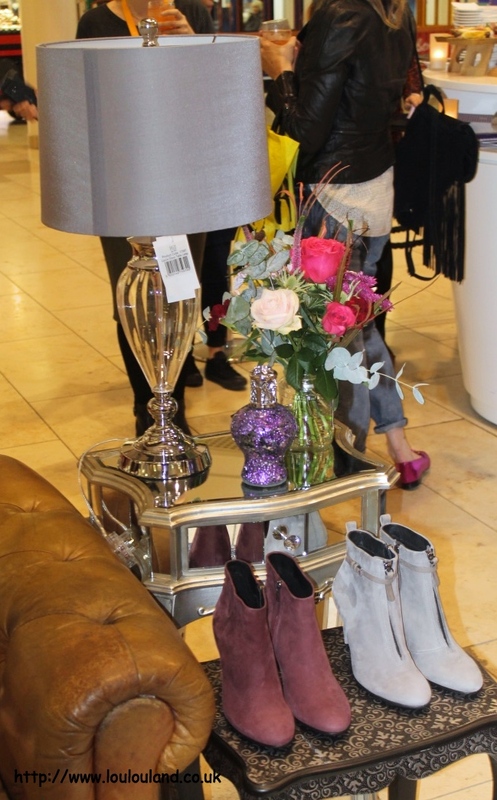 Michaela had trawled the centre and chose some of her key pieces for the Autumn and Winter season. As i said before it's not necessarily about buying a whole new outfit, it's about picking a few pieces that will update your old favourites and bring them right up to date, and that's exactly what Michaela showed us how to do. I was really please to see a wide variety of size, and budget options represented in the pieces that Michaela had chosen. 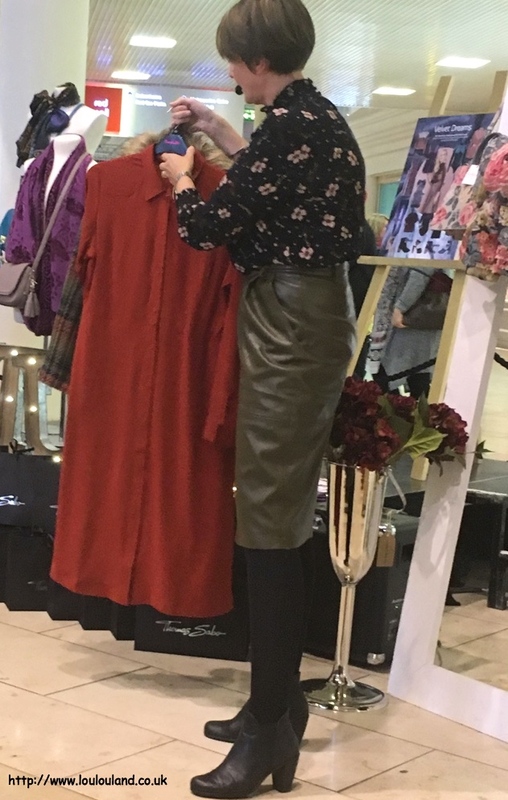 There were pieces from Primark, French Connection, Warehouse, Biba at House Of Fraser, and Cath Kidston, and like the dress below she also showcased a few pieces from Simply Be, including a blouse that I've now gone on to purchase. Michaela had chosen pieces to represent the 5 key trends that she, and the style time have identified for Autumn and Winter 2016, the trends include the pretty self explanatory Animal Print, Midnight Sparkle, Purple Reign and Velvet Dreams and my personal favourite trend Heritage Checks, with it's textures, prints, and earthy colour palette. 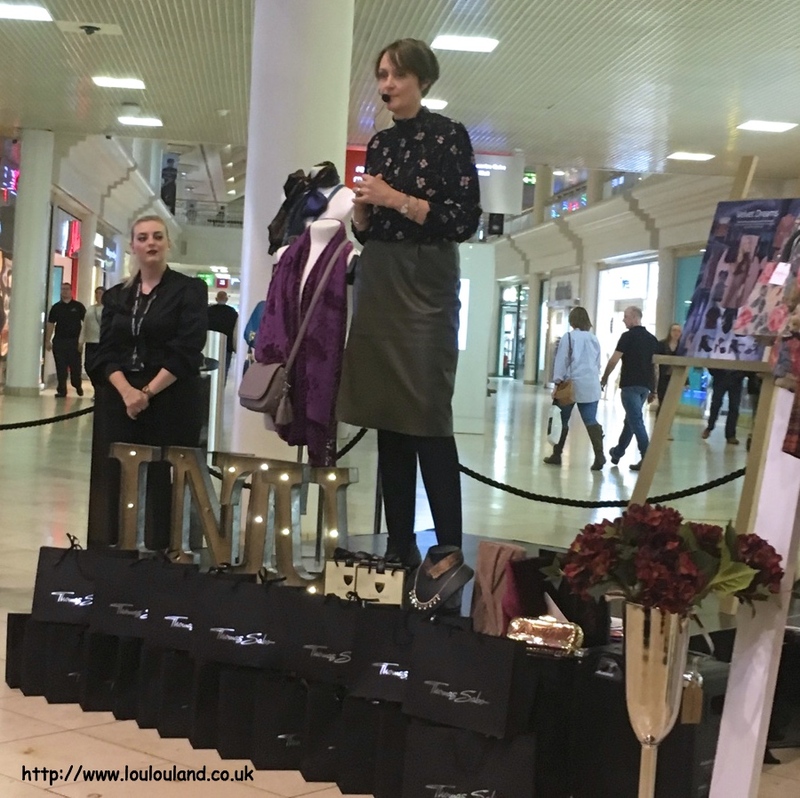 We were then treated to a mini fashion show with two beautiful models, showing us how to put together some different looks and interpret the trends. After a warm round of applause, Michaela and the models then past the baton on to some other speakers from some of House Of Frasers most prestigious brands, including luxury British leather goods brand, Aspinal Of London. Despite only being founded in 2001, Aspinal of London, is very much viewed a heritage brand, their bags and leather goods, are seen on the arms of celebrities, royalty and pretty much anyone that recognises quality in it's highest form. All of the bags are quite classic, and some of them have an almost vintage look to them, but there is a lot more than meets the eye in most cases. 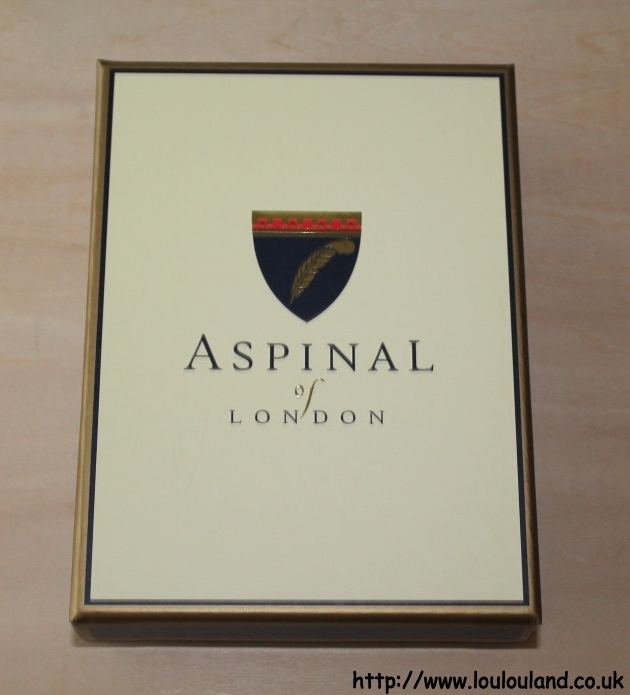 A lot of the bags in the Aspinal range, can be used with something unique to them a tech charger which charges your phones and mobile devices on the go. They aren't just beautiful to look at, they're practical too. 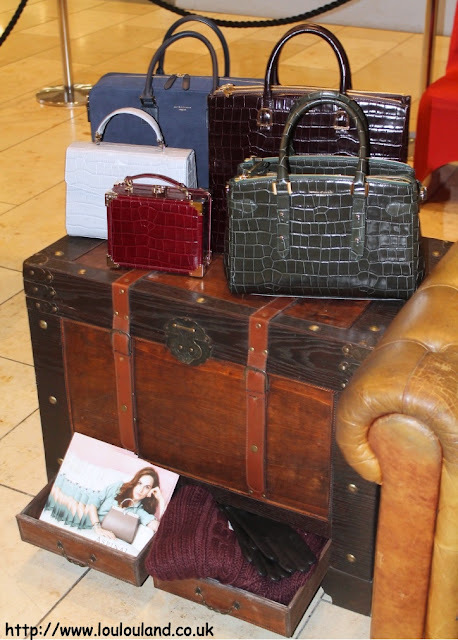 My favourite by far is the beautiful croc embossed tote / bowling bag that you can see in the foreground, the perfect size, it comes in a variety of finishes, and you can even get the straps and the bags embossed with your essentials. I hope Santa is listening to my rather loud hints but somehow I doubt it ;) It doesn't matter though because Aspinal were kind enough to gift all of the attending blogger with a little piece, which was just enough to make me personally want more. 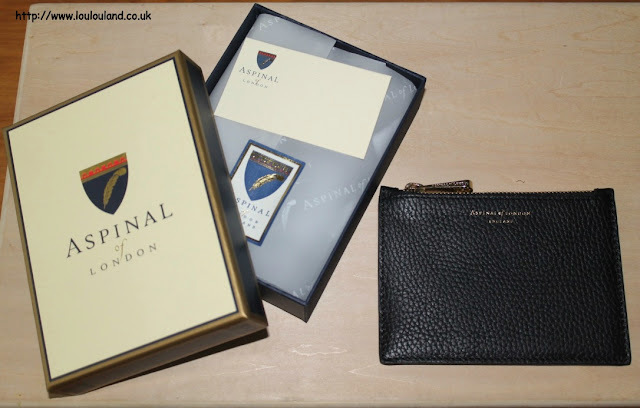 Packaged in a beautiful bag and box, that just screamed quality, we were lucky enough to receive a beautiful small, black pebble leather zipped pouch, that you can also use as a coin purse. With a chunky gold zip, and gold embossed branding, the quality is excellent, it's fully lined and it's beautiful. 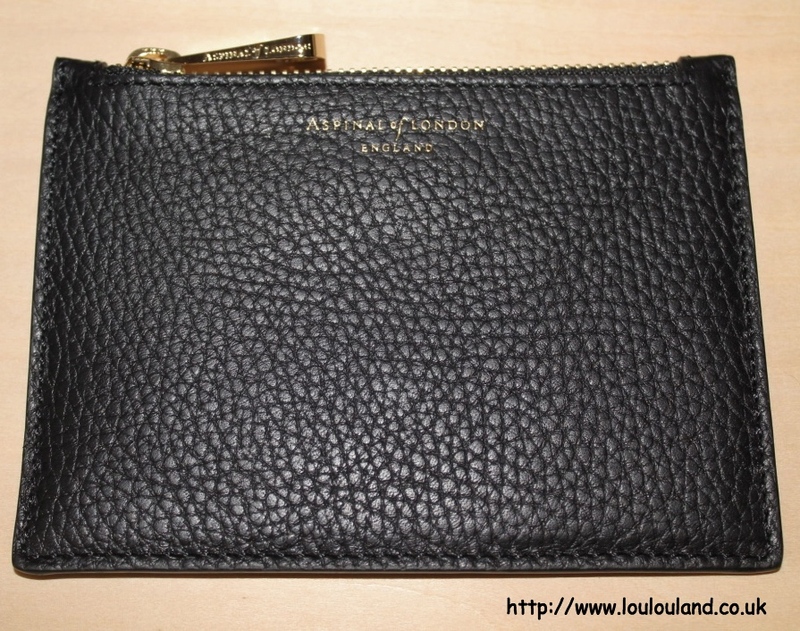 I think I'm going to be using it as a coin purse, and I'm really looking forward to using and pulling a little bit of luxury out of my bag. Speaking of beauty and luxury we also had a talk from some of the lovely ladies from the House Of Fraser, Thomas Sabo concession. Whilst I was familiar with Thomas Sabo's charm bracelets and charm pieces, on Monday night the ladies introduced up to their Love Bridge / Love Coins range. This range is all about personalisation and customisation. They offer a variety of different chains, a choice of different metals, and a choice of pendants in different shapes and even a choice of pendants with crystal or diamond detailing. Every one of the pendants in this range can also be engraved, free of charge, with a choice of around 50 different initials, and symbols. 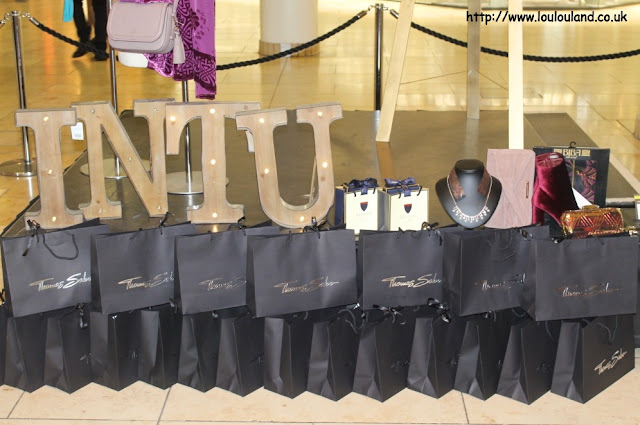 The lovely people at Thomas Sabo were kind enough to give us a gorgeous goodie bag full of treats, including a make up bag, a beautiful velvet jewellery roll, and a sample of their Charm Club Forever fragrance. 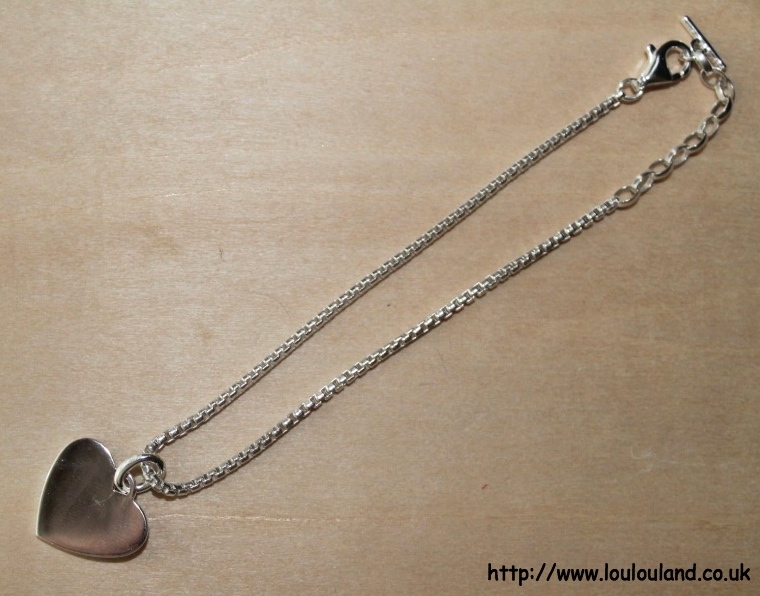 If that wasn't enough we were also kindly gifted, a beautiful sterling silver bracelet, with a Love Coin, heart shaped pendant hanging from it. This bracelet charm can be engraved at the House Of Fraser concession with an initial or symbol of our choice. I love the idea of this so much and for me it's happened at just the right time. Their are so many things to choose from I just need to pick a symbol, that means something to me or that reminds me of someone or something. After Thomas Sabo we also had a couple of brief talks from some more of House Of Fraser's prestigious concessions including Tom Ford fragrance, and the watch department where we found a little bit more about the Michael Kors Access and the Fossil Q smart watches, which have the functionality of an Apple Watch but with a more stylish appearance. Finally after the presentations we had a chance to talk to some of the experts, and we had a chance to enjoy some lovely cocktails, mocktails and canapes courtesy of Carluccio's which is one of the newest additions to the centre's must luxurious section, the Platinum Mall. Then sadly it was time to leave all of the beautiful clothing, accessories and home wear behind and head home. 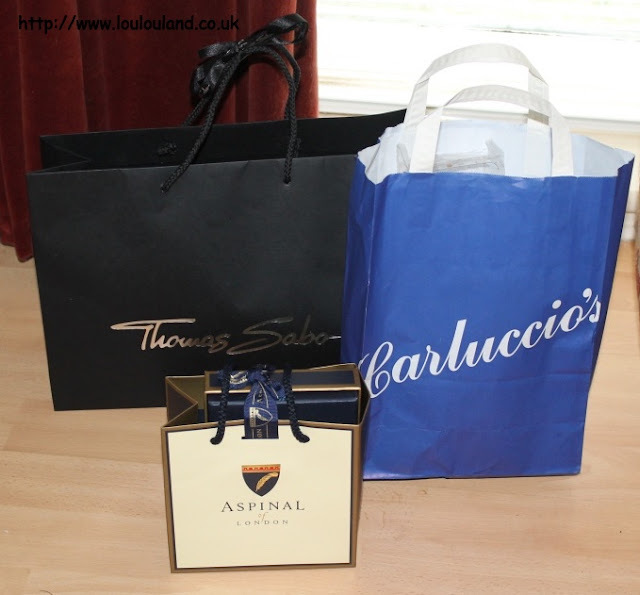 We'd already been spoilt rotten from both Aspinal and Thomas Sabo, but we were also lucky enough to get another good bag which contained a copy of the new Intu Metrocentre magazine, a Yankee Candle from Candle Essence, shoe care products from Ecco, Tom Ford Fragrance samples, truffles and cookies from the lovely people at Carluccio's and a whole host of vouchers. I really can't thank the team from Intu Metrocentre enough for hosting such an informative and enjoyable evening and of course I can't think Aspinal, Thomas Sabo, and the other brands involved for their time, their knowledge. and their generosity.